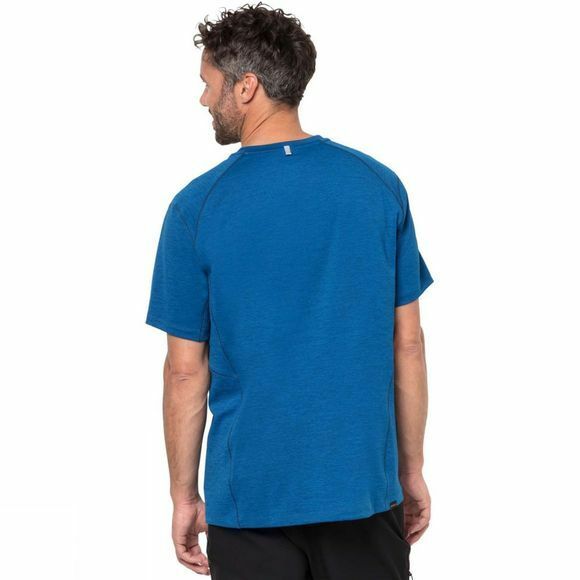 Ideal for fast and light hiking or mountain sports, the Mens Hydropore XT Tee from Jack Wolfskin is a functional and exceptionally versatile T-shirt. The Hydropore fabric combines several functional attributes. 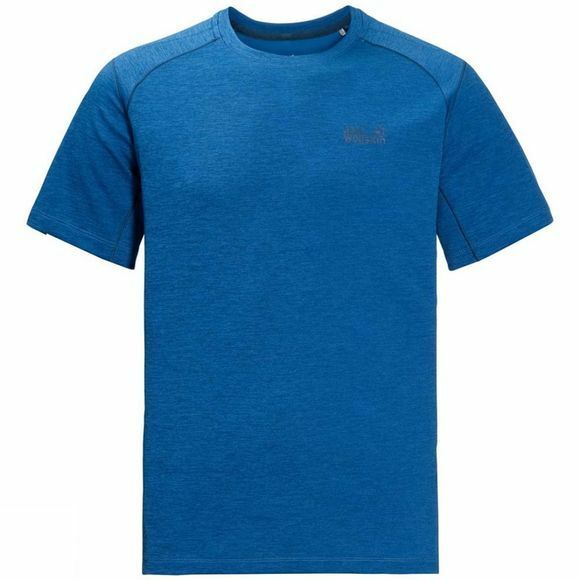 It is hard wearing, feels pleasant to wear and remains virtually odour-free even when the T-shirt is worn for long periods. If work up a sweat on a steep trail, it wicks moisture quickly away from the skin and dries again in no time. The advanced stretch properties and loose fit ensure optimal freedom of movement. The fabric also protects you from the sun–crucial in the mountains where the UV levels are high.